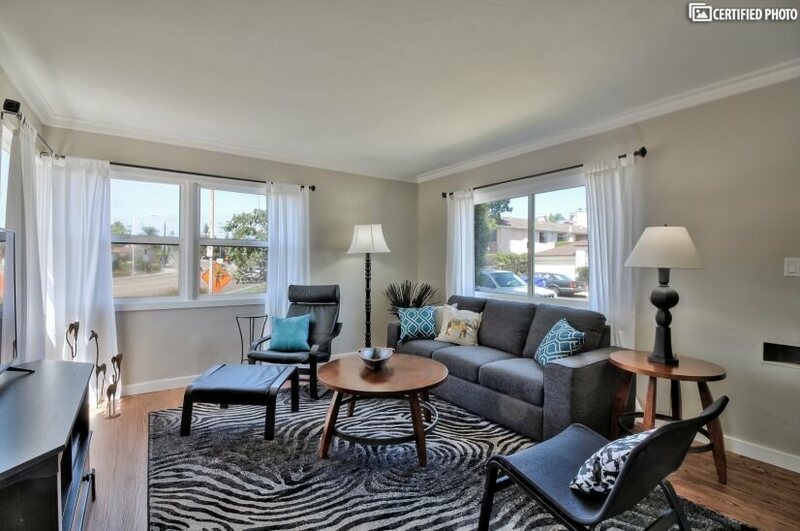 Rate includes utilities, high speed internet/ WiFi, voice activated remote cable/ DVR for both TVs. 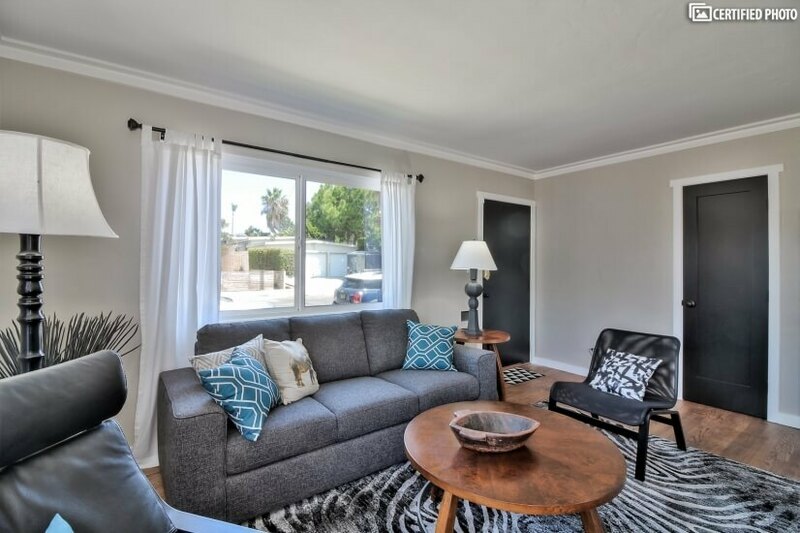 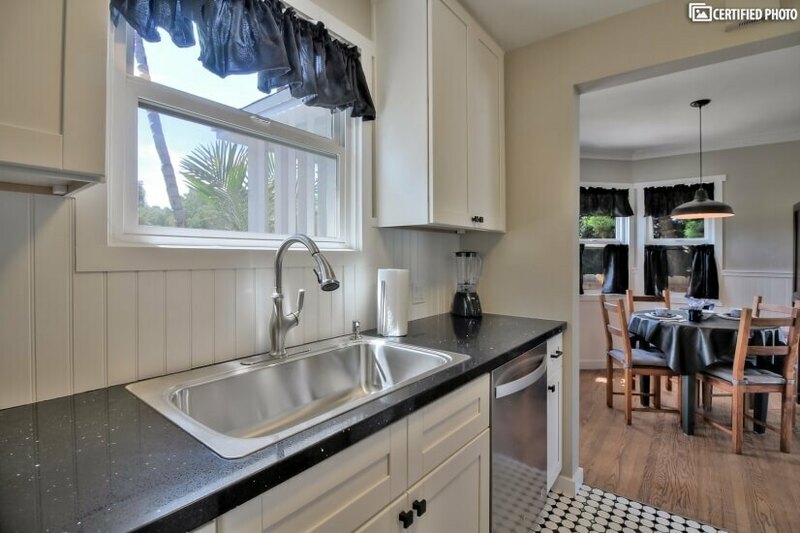 If you require corporate housing in San Diego, but you are eager to find a peaceful, residential setting with all of the home-like amenities, this newly remodeled San Diego furnished rental is a perfect choice. 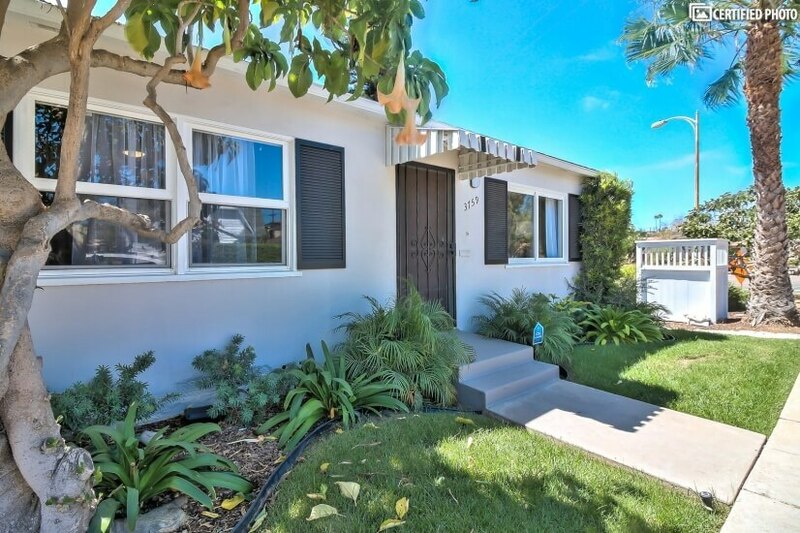 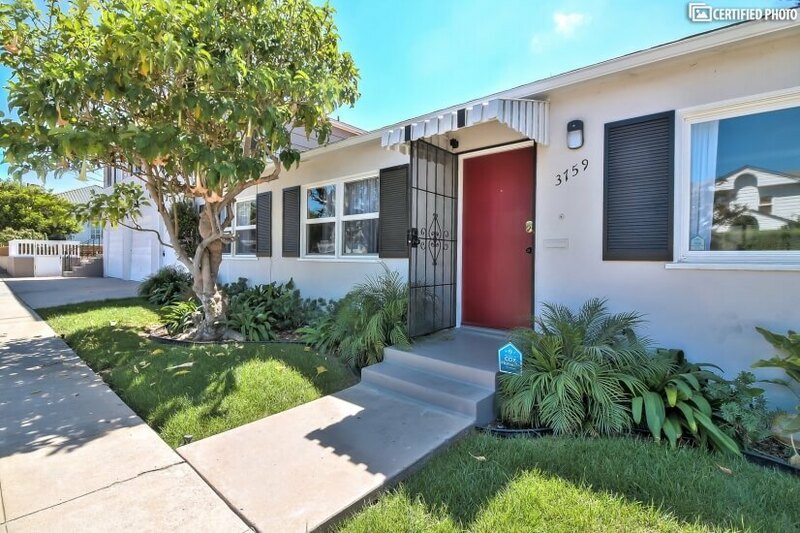 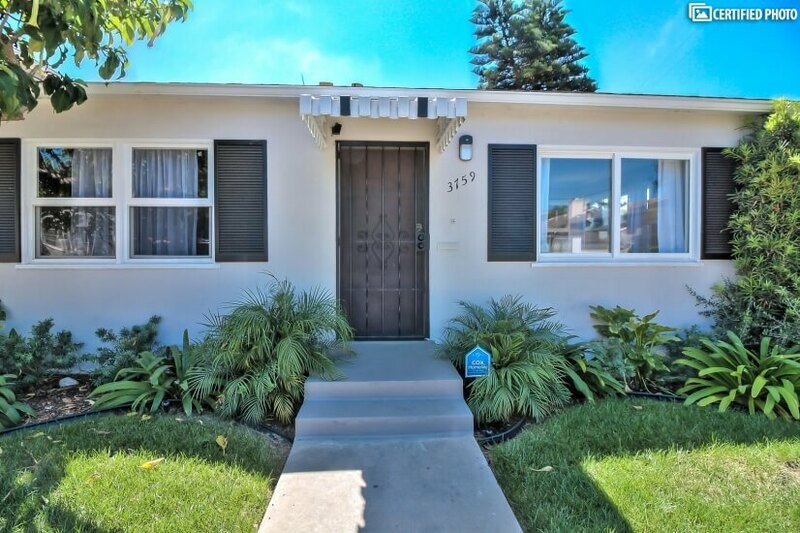 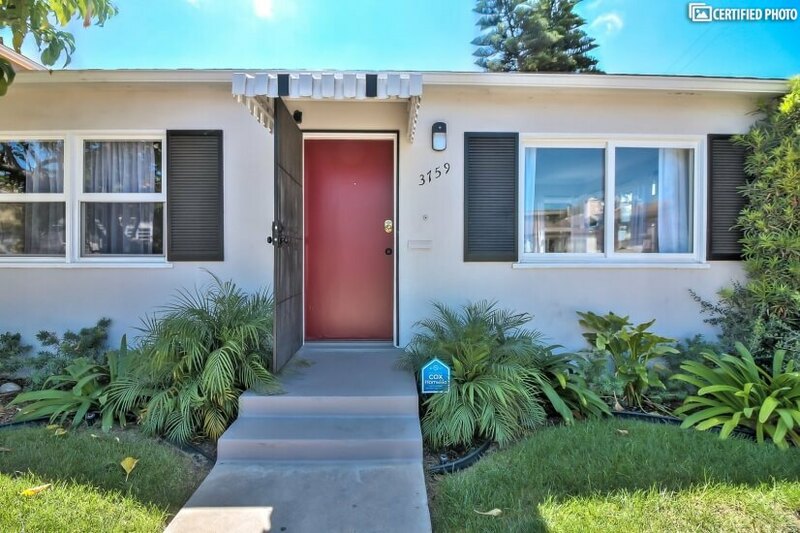 Tucked into a cul-de-sac in the wonderful Point Loma area of the city, it is a one-bedroom home on a beautifully landscaped lot in a great location. 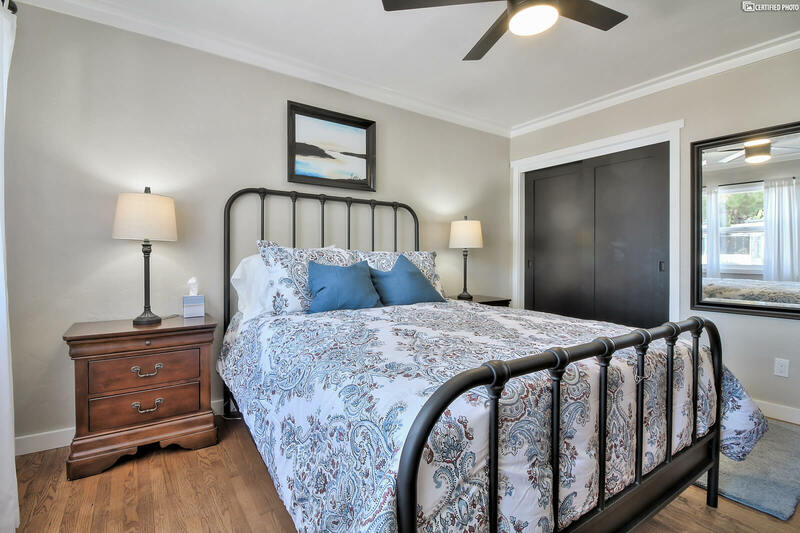 Those staying in this charming property are just minutes from major attractions like SeaWorld but also less than 15 miles from corporate locations, the financial district, and the headquarters of the area’s largest employers, including Scripps, Qualcomm, the Naval Station, and the long list of hospitals and medical centers, universities and others. 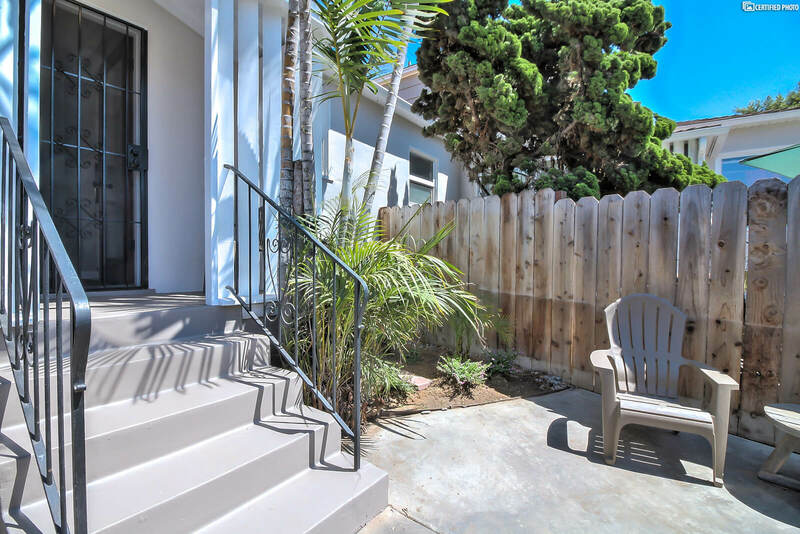 From the front door of this San Diego furnished rental you are just ten minutes from the airport and less than 20 minutes from Mission Valley. 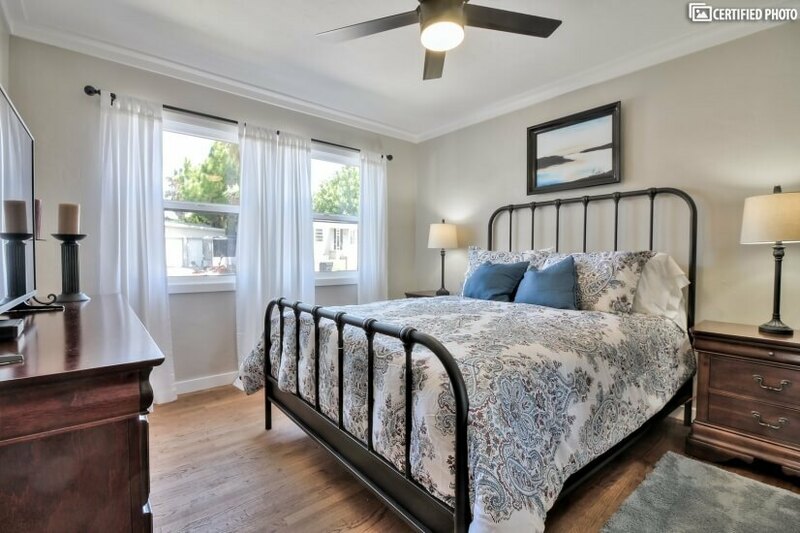 You can enjoy a very walkable neighborhood close to the beach, local library, all of the essential shops, cafes and more! 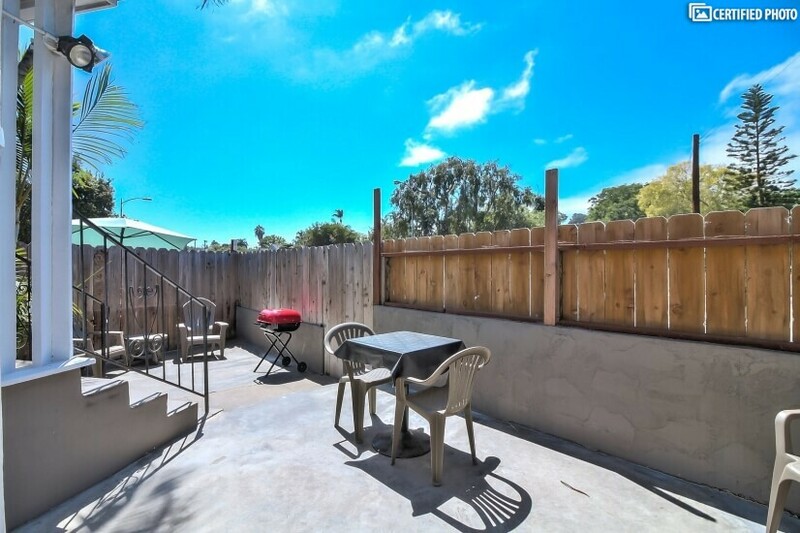 Spacious and recently updated, it is a good option for corporate housing in San Diego for the solo traveler. 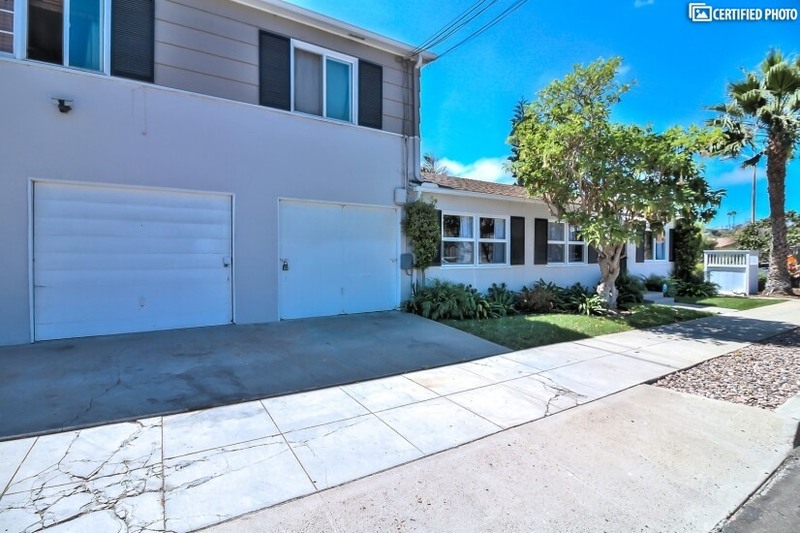 A one-story property, it has a spacious yard, garage with parking and roomy interiors designed to capture all of the beautiful, natural light. 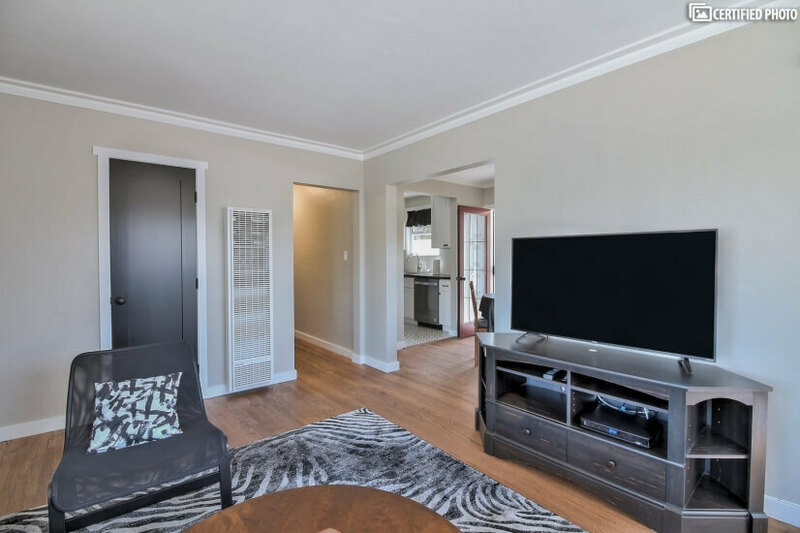 Enjoy the large living room with premium entertainment system, dining room that opens to the large and private terrace and yard, and the charming and modern kitchen. 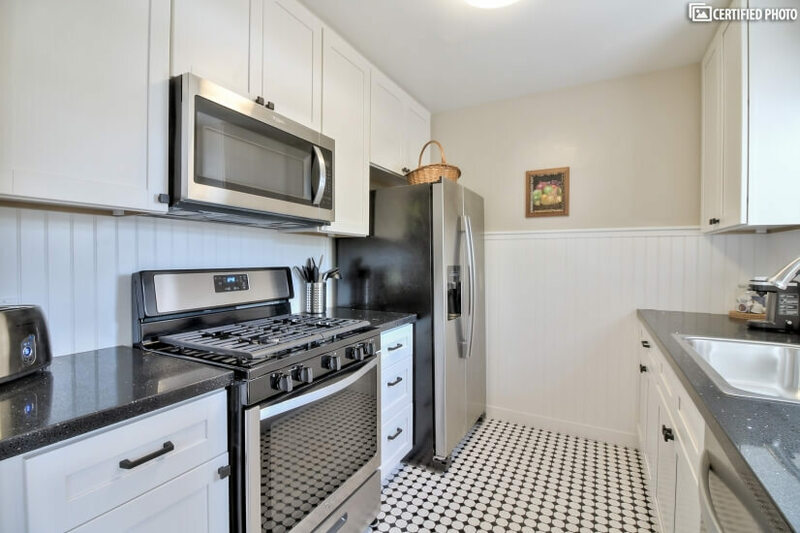 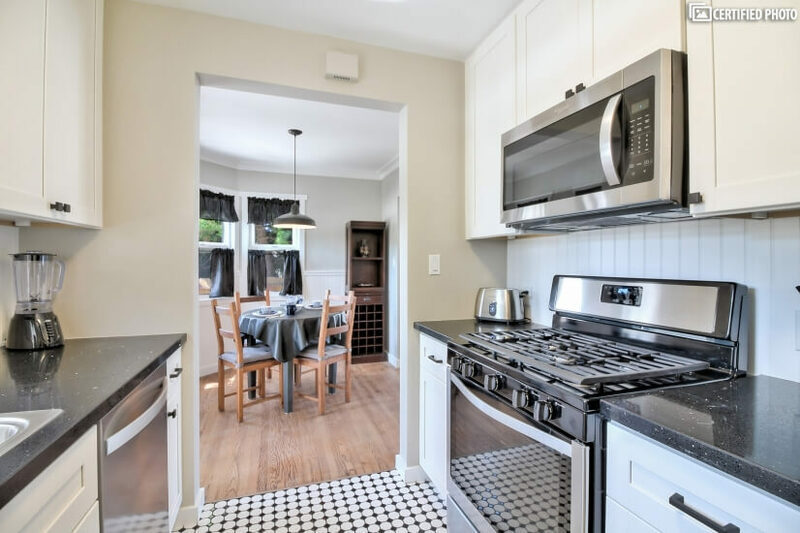 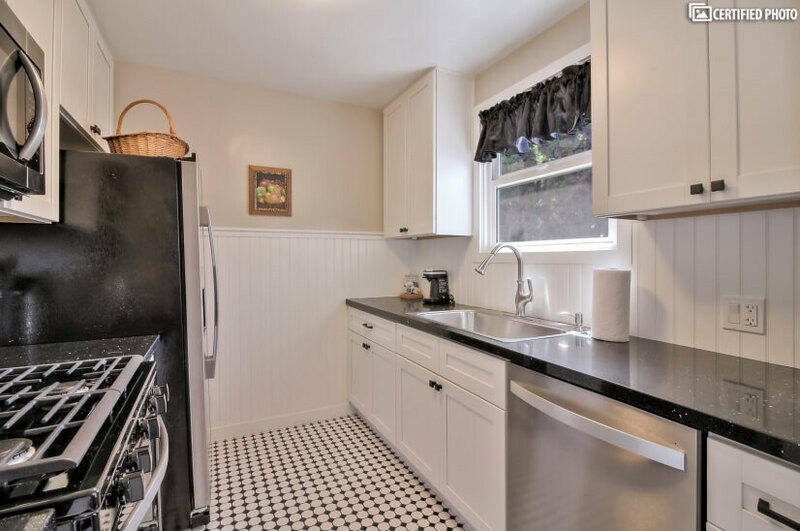 The kitchen is up to date and furnished with stainless steel appliances, premium countertops and all you need to enjoy a home-like environment. 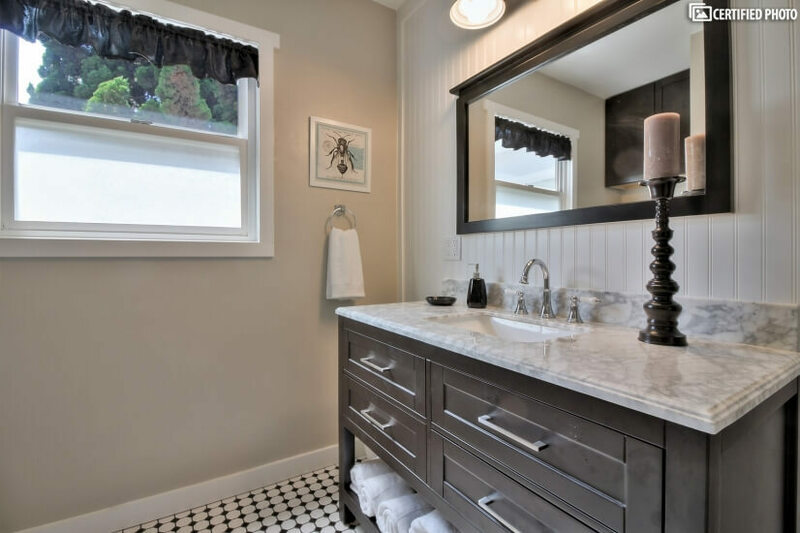 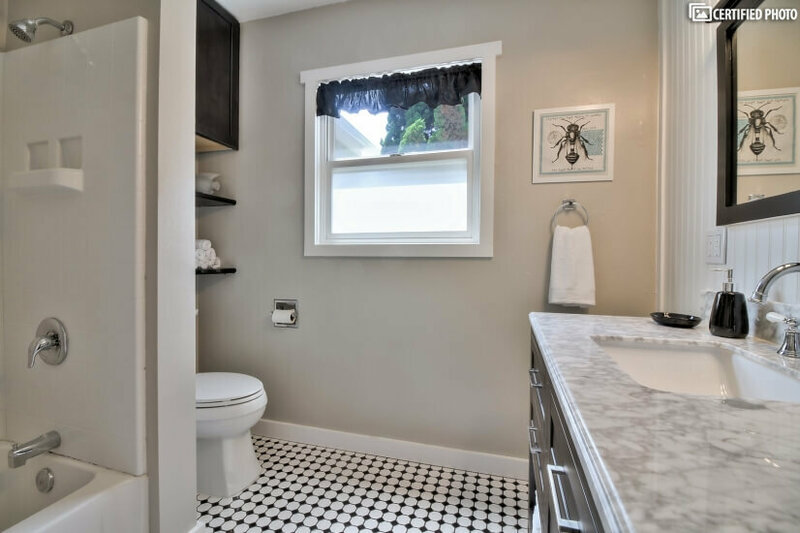 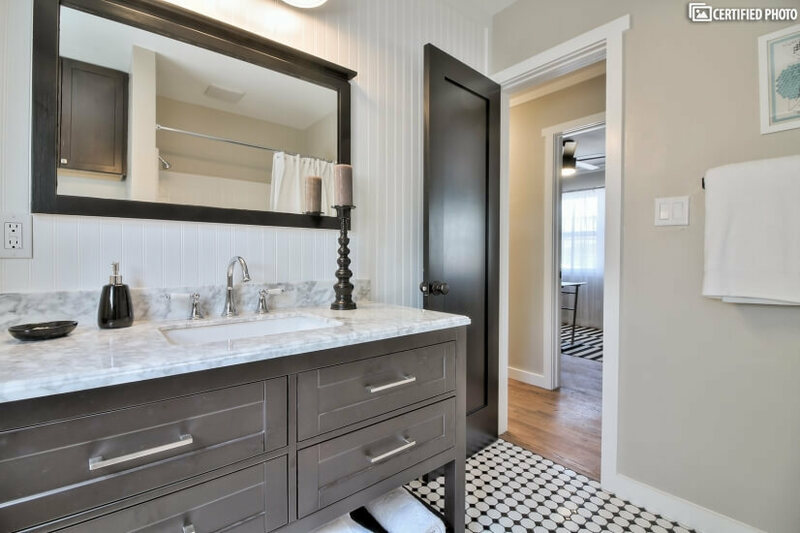 The bathroom is brand-new and beautifully appointed with modern fixtures and premium surfaces. 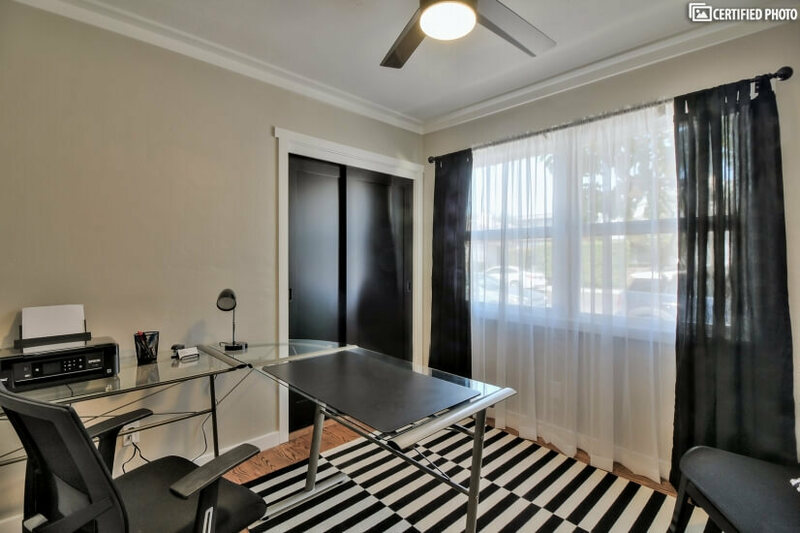 The bedroom is also airy and bright, and there is a separate office. 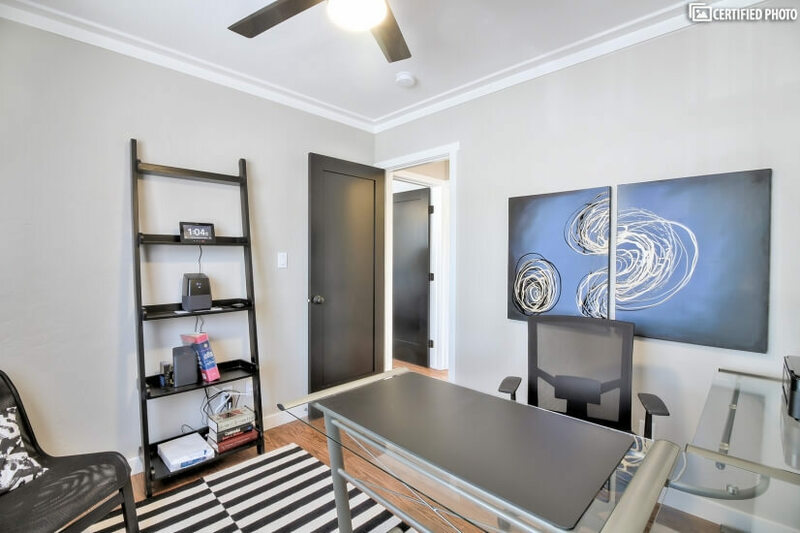 It is fully furnished with all you would need to begin working from home, the moment you arrive. 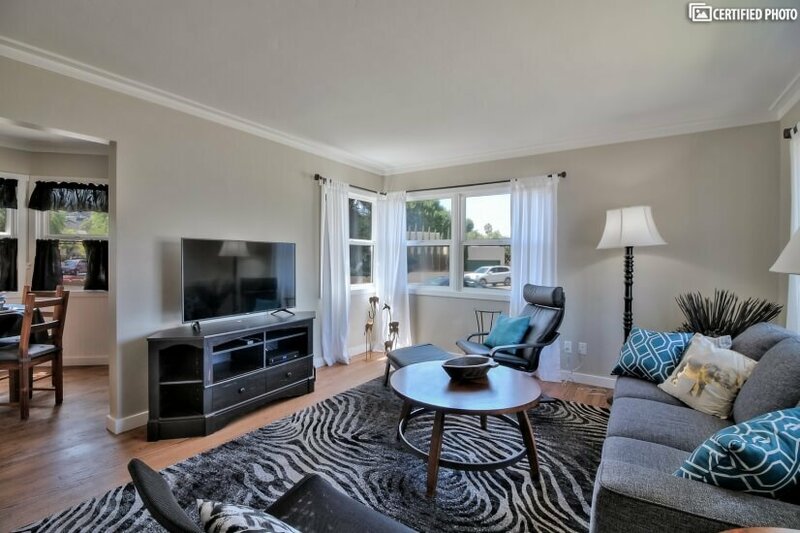 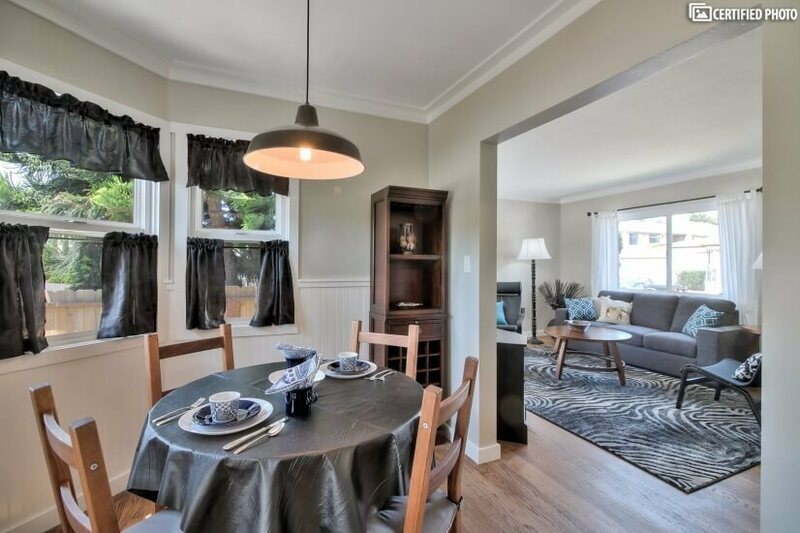 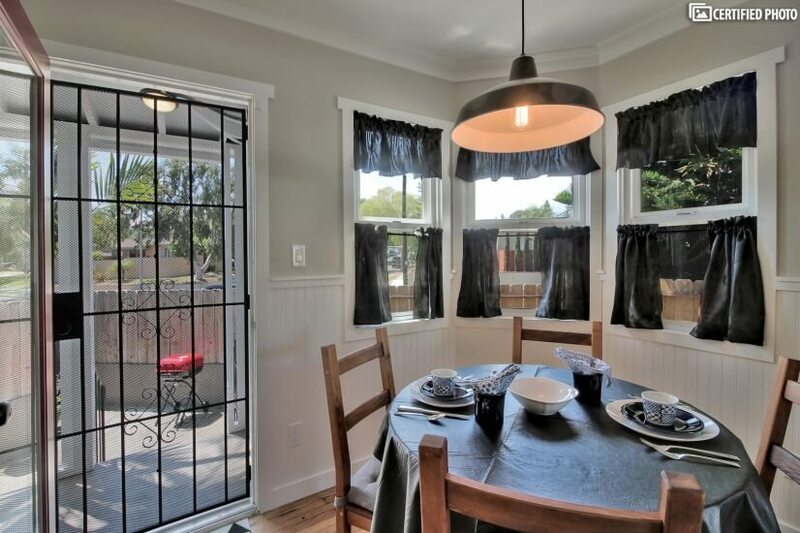 So If you are looking for that perfect corporate housing in San Diego, you will want to put this charming San Diego furnished rental on the top of your list. 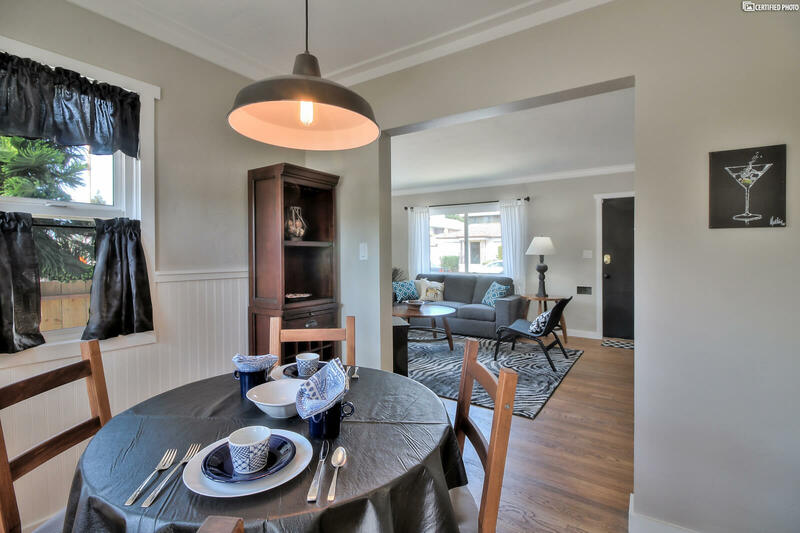 With lots of updates, Wi-Fi, complete privacy and its amazingly convenient location, it is that perfect balance of comfort and functionality. 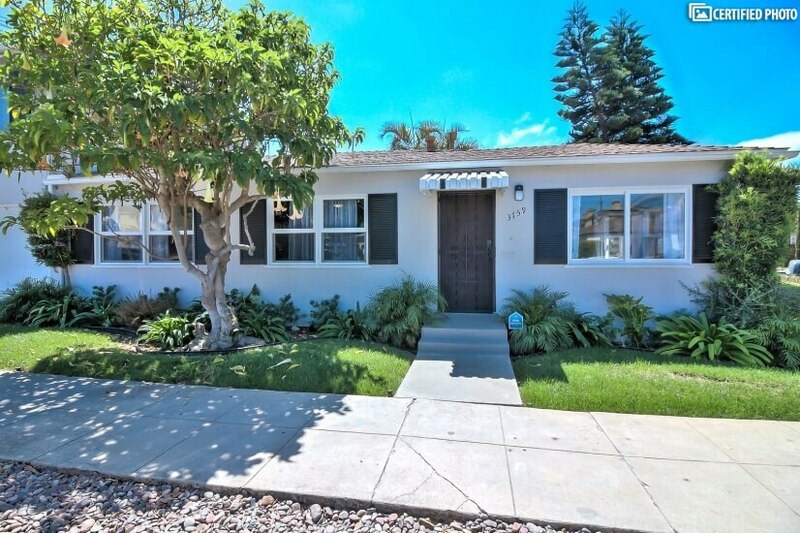 Whether you are eager to be a short drive to the major business areas or the major destinations and attractions, this property offers just such a location. 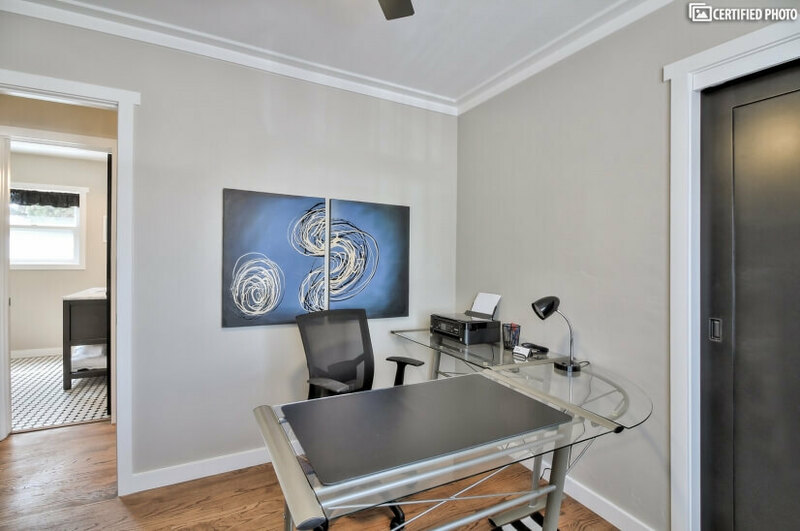 With plenty of space to entertain colleagues or travel with a partner, it is sure to satisfy your desire for an ideal corporate stay. 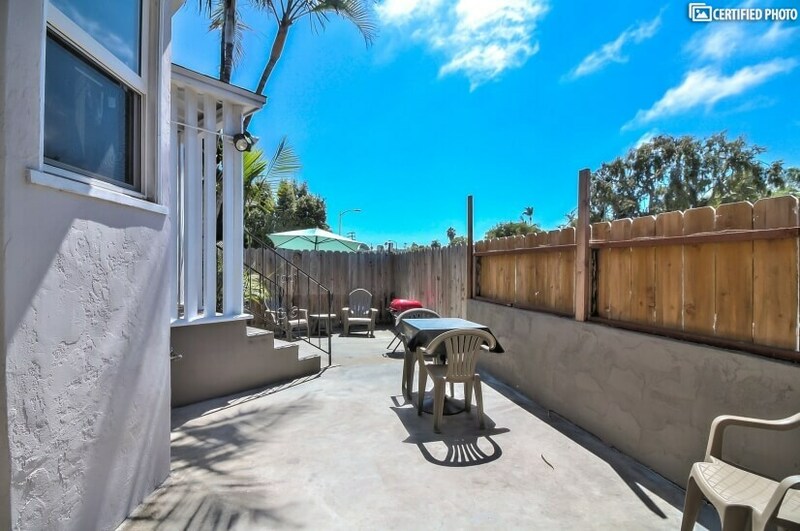 Close to Interstate 8, and Ocean beach. 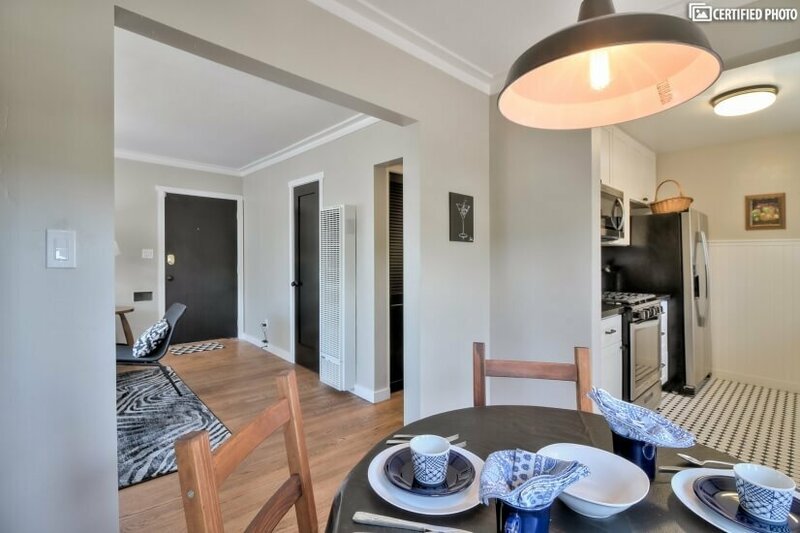 Walk to restaurants, shopping, library. 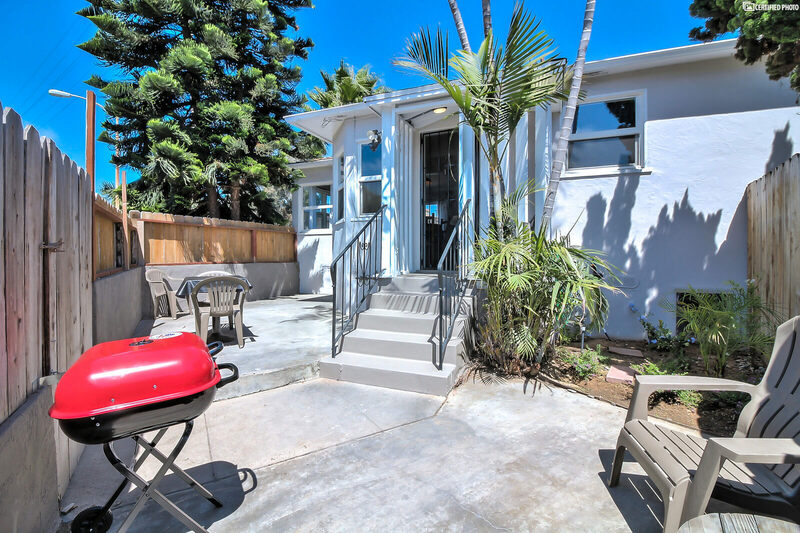 secure garage, Private yard with seating, and BBQ. 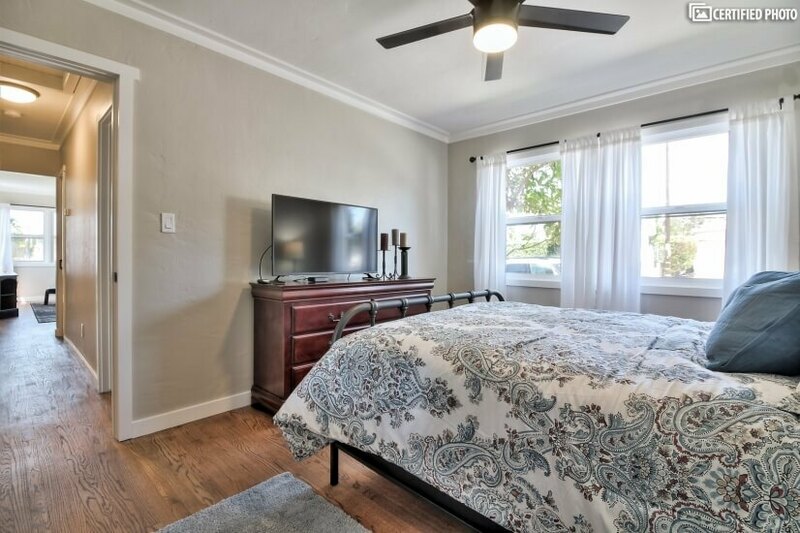 High Speed WIFI, cable, Roku TV's with DVR in Livingroom and Master Bedroom, Dishware, Kitchen appliances and Linens, washer dryer on premises, Bluetooth portable speaker, Iron, Ironing board, hairdryer, toiletries. 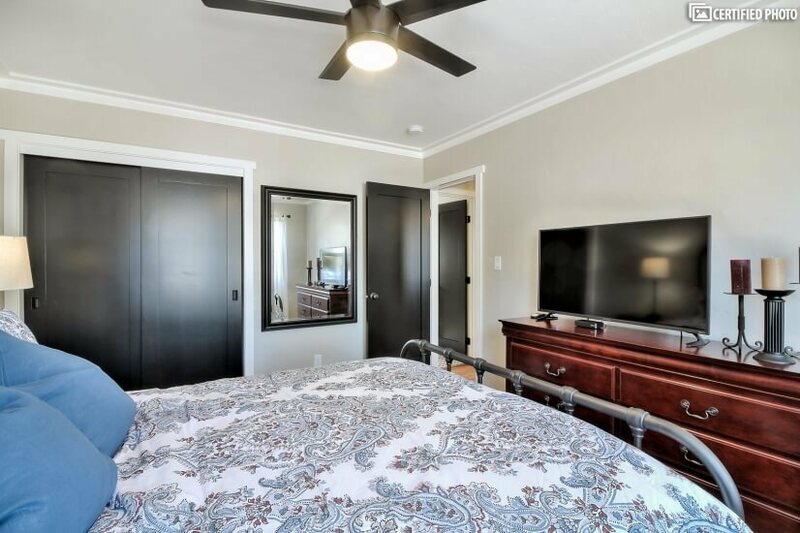 Housekeeping service available for additional fee.